#FamilyTable This post may contain affiliate links. Read my disclosure policy. 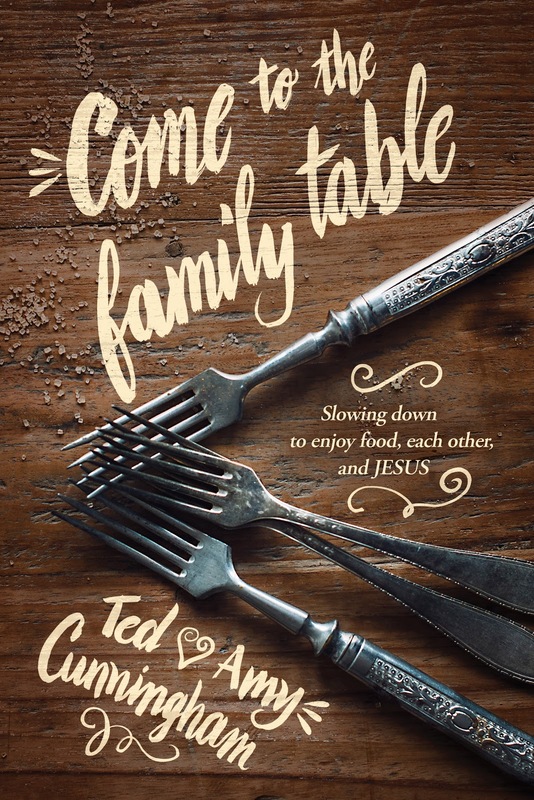 Inspired by the slow food movement, Come to the Family Table: Slowing Down to Enjoy Food, Each Other, and Jesus by Ted and Amy Cunningham contains some practical ideas for transforming your dining room table into the center of your family life. The authors write about the importance of slowing down our lives and scheduling in some downtime to put aside the rush, rush, rush of the day and spend quality time together. Mealtime used to be a family affair, but our way of life has changed so much that it often becomes a rarity for families to share a meal together. "The simple generosity of a cookie or a slice of cake sticks with a person. Simplicity prioritizes love and relationships over money and possessions. Who is gathered around the table is more important than what you eat off of the table. Fellowship is greater than food. Discussion is greater than drink" (p. 126). Each chapter includes a narrative followed by recipes, games, conversation starters, and devotionals. I like the premise of this book, and there are many ideas and takeaways from it that I will probably reflect on from time to time, but I wish the format of the book were more cohesive and that the recipes were set off a bit differently to make the book easier to use. 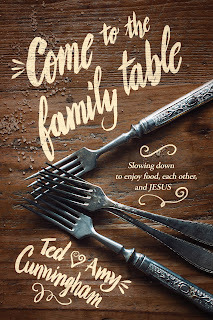 Ted and Amy's hearts for bringing Jesus to the center of the family and creating a home atmosphere that reveres and supports the family are obvious in Come to the Family Table. The publisher provided a review copy of Come to the Family Table.